Córdoba is an absolutely captivating city. Beautiful whitewashed buildings, narrow winding streets, a very relaxed atmosphere and of course the ultimate on your itinerary, the mesmerising Meztiqua (or cathedral mosque of) Córdoba. 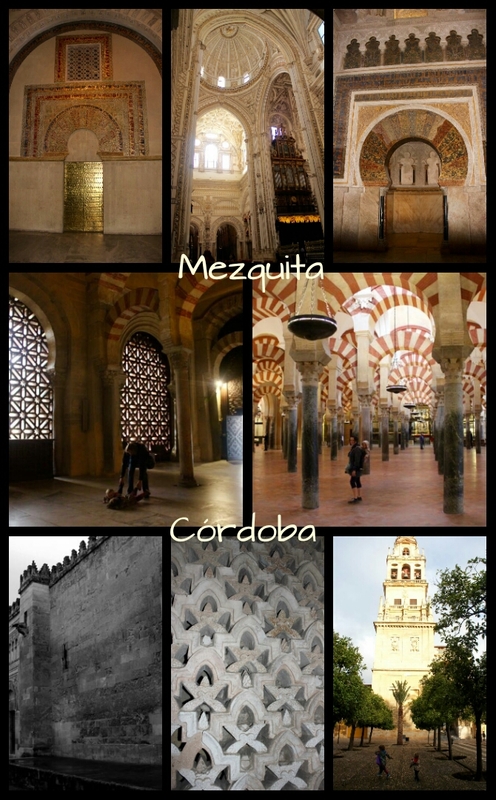 Is truly the jewel of the city of Córdoba and a must see if you visit the city. The site began as a Roman Temple, then a Visigothic Basilica. By the 8th century when Córdoba was a muslim city the site was shared between the catholics and muslims. Sharing a religious space together, something that seems almost incomprehensible in today’s society. After the site was subsequently purchased from the catholics it was further developed and redeveloped into an elaboratetly decorated mosque. From the 13th century when the Christians reconquered the city the Mezquita was again used as a place for Christian worship. Despite the change in religion the mosque remained largely intact but was modified in the most unusual manner; what makes the Mezquita unique is the 16th century renaissance cathedral nave plonked right in the middle! A mosque with a cathedral inside it…where else in the world can you see such a phenomenon! The Patio de los Naranjos, which is the orange tree filled courtyard in front of the entrance is a great place to let the kids run around after being in the dark interior of the Mezquita. The Puerta del Perdon, at the base of the bell tower has the grandest entrance and the ticket office is just inside. You can now pay an extra to climb the 54m bell tower (Torre del Alminar) but they have scheduled tours and with two toddlers who had already spent an hour in inside we weren’t hanging around any further, or those on a budget there are similar views to be had from the Alcázar de los Reyes Cristianos. See more of our Mezquita visit here. 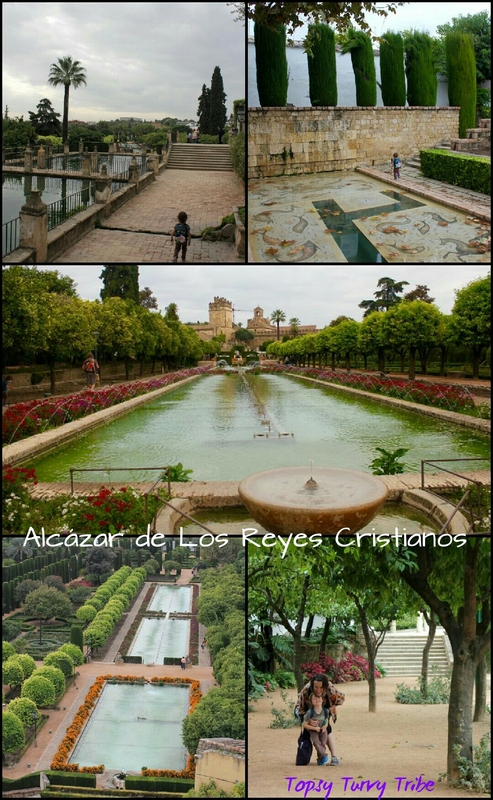 The Alcazar was the castle and royal residence of Cordoba, inhabited by the caliphs in Islamic times, and later by the Spanish royalty. 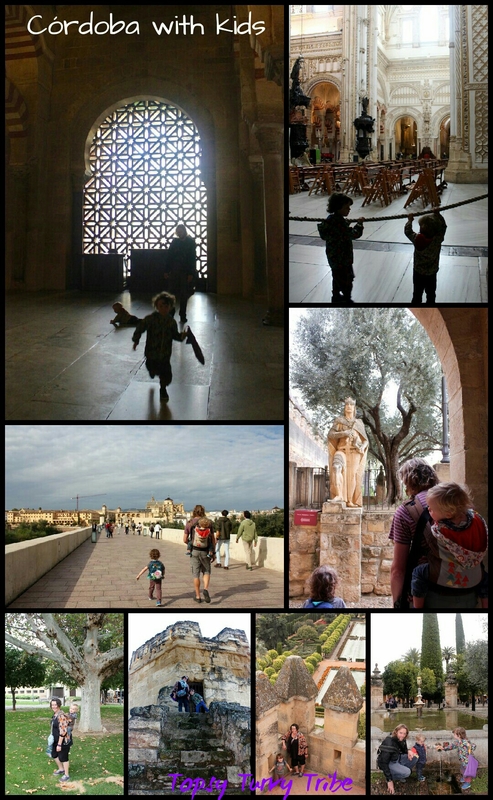 Built in the 14th century the Palace fortress is a wonderful place to visit with kids. Climb up spiral stone staircases to see panoramic views of the city and explore the terraced gardens full of mazes, fish ponds and gorgeous trees and flowers where you can let the kids play hide and seek and run free. This was by far Chaos and Mayhem’s favourite place in Cordoba, they were so excited searching for the knights and playing in the gardens! The nearby Molino de la Albolafia Waterwheel on the Guadalquivir River dates from medieval times, and provided water for the luscious Alcazar gardens, as well as being used to mill flour. At the heart of Córdoba’s historic centre lies the network of medieval winding lanes, which is the Jewish quarter. If you have imaged Cordoba’s white stone buildings, narrow alleyways and winding streets, this is probably the area your vision has come from. There is something almost magical about the Jewish Quarter, you really do feel as though you are walking in the footsteps where thousands have gone before. This was our favourite area of Córdoba to wander around. Here you will find the synagogue, which is in great condition despite the Jewish population of Córdoba being expelled in the 15th century. The synagogue was rediscovered and restored in the 19th Century. It is free to enter but you need to read through the information signs to understand what the stunning plasterwork carvings from Hebrew psalms represent. The House of Sefarad (€4), opposite the Synagogue, explains much more Córdoba’s rich Jewish history. If you enter, or leave the Jewish Quarter through the entrance gate La Puerta de Almodovar make sure you pop into Bodegas Guzmán a classic and atmospheric spot for a quick vino and tapa. Have a look at the bullfighting memorabilia and take a trip back in time! Córdoba, like most Spanish cities, does not let you down with it’s spectacular Plazas. Our favourite was Plaza de la Corredera, an architectural gem, with arched porticos, formerly used as a bullring, home to the inquisition process, public executions, markets and festivals. A great place to soak up the atmosphere, root through the antique shops and have a drink at the hip bars and cafés. Plaza de las Tendillas is another must visit at the very centre of Córdoba. Even though we visited in November we were lucky enough to find a Christmas market in the square, a great place to sample some artisan products. The Great Captain statue, a famous knight at the time of the Christan Monarchs graces the plaza’s fountain. It very strangly has a white head that urban legend says actually belonged to a completely different statue of a bullfighter but was mysteriously replaced! Originally built by the Romans in 1st century and surprisingly so, this small bridge was the only gateway to the city up until 2005. A wonderful place for views of the city, including the nearby waterwheel, people watching, photographs of the city at night and for soaking up riverlife. At the historic centre end of the bridge is the Puerta del Puente – Bridge Gate, a renaissance gate transformed into an triumphal arch. There is also the Triunfo de San Rafael – Triumph of Saint Raphael, a large 18th Century monument in the Rococo style with a column upon which Saint Raphael resides. On the South side of the river, the Milaflores district, you will find the Torre de la Calahorra – Calahorra Tower, originally Moorish but adapted into a Christian stronghold in the 15th century, now a museum. The Museo Vivo de Al-Andaluz depitcs how life was around the 10 Century AD when the three cultures of Christianity, Muslim and Judaism lived side by side. Entrance €4.50. San Basilio is a famous neighbourhood because most the houses in this area were built for Catholics but respected the original muslim style and were built with an enclosed courtyard or patio. The patios are a traditional inclusion within moorish architecture designed to be an area of cool calm serenity, to escape from the fierce heat of the day. There is a Patios fiesta in the first half of May, but there are seven patios open to view all year, but beware of siesta closing times! We visited the free centre for the interpretation of Cordovan Patios rather than paying €8 each to visit the manor house and it’s 12 patios and gardens. The patio was very pretty but it was raining quite heavily and we didn’t really feel the vibe. Just a short walk over the Roman bridge on the South side of the river opposite the historic centre in the Milaflores district, you can visit the hotel’s rooftop bar for a wonderful panoramic view of the Mezquita and the river. The panoramic bar is open in the afternoon, or if you forget the times and are very lucky, go in the morning and a nice maintenance man will unlock the door for you! 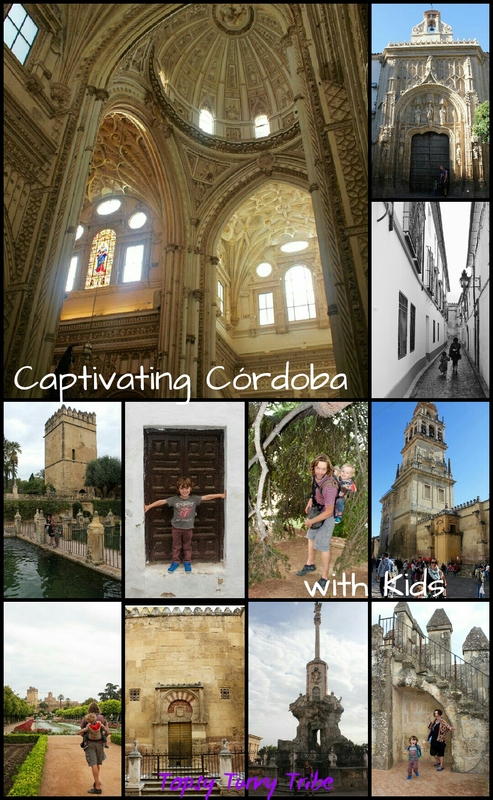 Córdoba is a fantastic city for kids of all ages, simply because there is so much to see and do and in our experience the Spanish really do love children and always try to include them in everything. We have three and two year old boys and they had an awesome time! There are so many wonderful outdoor play parks, there literally seemed to be a new park around every corner. Córdoba even has a whole area called Children’s city, with over 30 different types of equipment, including a skate park, set over 4 hectares (Avda. Menéndez Pidal). We found a wonderful pirate ship park just next to the Torre de la Calahorra- Calahorra Tower on the south side of the Roman bridge. Eating out is a problem if you are not accustomed to ‘Spanish time’. Most places serve Desayuno (breakfast) of tostada con tomate y azeite (toasted baguette with tomato and olive oil) or butter, or Jamon or pate from early until midday. Comida (lunch) begins from 2pm until around 4pm then most places close fr siesta. Cena (dinner) is usually from 8pm, you may be lucky to find somewhere open slightly earlier in the main tourist areas. We can highly recommend Mercado Victoria – Victoria Markets unusually open from 10am – 2am! A covered gastro-market full of different stalls serving a variety of foods from Hot Dogs, Pizza and Paella to Sushi, Tapas and Oysters. The eatery is also in the middle of a huge parks area with loads of outdoor play parks for the kids to enjoy. Even though we now live in Spain, our boys bedtime remains 7pm and they really struggle to stay awake past this time. We did eat out late on the last night to celebrate hubbies birthday, we went to a rather overpriced tourist restaurant and ate at 7.30pm and suffered the next morning with a 5.30am wake up, as the boys just weren’t used to a 9pm bedtime! What we found worked of us was to eat a light picnic lunch at around 11am (not too difficult when you get up with the kids so early) and then have an early big dinner from 3-4pm. If anyone (hubbie) is hungry later, there is always a cafe or a bar open that serves tapas (savoury snacks). Many of the streets are narrow, cobbled and often crowded. If you have a pram/buggy make sure it is sturdy enough to withstand the bumpy paths. We always use carriers with our kids as we find we can take them anywhere we can go, they are at eye level and see much more and therefore get less bored! We found Córdoba really easy to navigate around and never got lost. It is easy to walk everywhere and you can easily see all the city’s main highlights by foot. You will definitely not need a car! The historic centre of Córdoba is wonderfully picturesque but awful to drive around. If you are driving to Córdoba bear this in mind. We booked an apartment through Airbnb on the other side of the Guadalquivir river (South side), just near the Torre de la Calahorra in the Miraflores district. Parking is free on the street and it is very easy to drive to and from, no traffic jams in narrow streets! Use this link for £25 travel credit with Airbnb and we get a little something off our next booking too, enjoy! Thanks for the list. Even though my kids are older, I think we’d still appreciate the playgrounds and Mercado Victoria. I’m particularly keen to see the Mezquita-Catedral. Your photos of it are stunning with its mix of architecture. I’d like to see the courtyards, too. Thank you! The Mezquita is so fascinating and simply stunning. It is well worth the trip to Córdoba alone! Looks like such an amazing place! The raised gardens look lovely! Oh my word, dinner starts being served at 8pm?! That’s bedtime for us! 😀 We could make an exception whilst on holiday though! It really does take a little getting used to Spanish time. Bedtime is normally 7 in our house so even staying up a little late for dinner and the boys were wiped out! At least it meant they both had a good siesta though! Spain really does have some wonderful architecture and is so much more than just beaches and sunshine! Thanks Emma. Wow what a great place to visit on a school trip! The tortilla and churros are definite hits with out boys too ! Were just back from Ronda it was amazing too. Just going through the tonnes of photos before we can write out next post! I hour you get the chance to visit both places they are truly amazing! I’ve loved all your posts on Córdoba and all your photos on Instagram. There’s so much more to see there than I initially thought and I’d love to do all these places soon. I might have to suggest it to the husband! Thank you so much, it us a wonderful place to visit, we loved it. How you can persuade the hubby! Thank you, it really is a beautiful place! Your road trip idea sounds fab, we are taking things slowing and Seville and Granada are next on our lists! Thank you, Spain is so child friendly it’s a great place to visit with kids, definitely come back for another go with them in tow! Absolutely stunning – Now I’ve tried Seville I must return and go to Cordoba. We did think of going for a day trip but in the end decided it merited a longer visit. Cordoba is beautiful but definitely worth a whole weekend at least, so much to see and do, hope you make it there this year! Thanks for hosting and commenting. 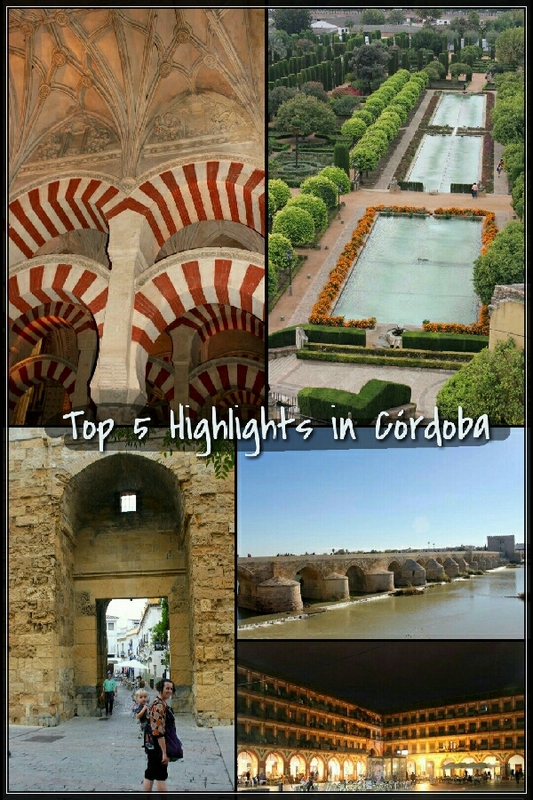 Córdoba is definitely a place to add to your travel list. We absolutely loved it there!